Where are the Girls? 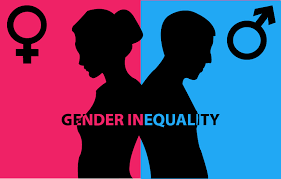 Gender Parity in Nigerian Schools – Royal Times of Nigeria. The African Union declared 2010 to 2020 African Women’s Decade, listing gender parity in schools as one of their main objectives. Seven years later, Nigeria has seen little progress in achieving this. Gender parity means equal numbers of male and female involvement, particularly in education. There is a staggering difference between the number of boys and the number of girls enrolled in Nigerian schools. According to the Global Gender Gap Report of 2017, Nigeria currently has a Gender Parity Index of 0.813 in educational attainment. This places us in the bottom ten countries with the least parity and the largest gap between female and male involvement in schools. Gender disparity is problematic because although it appears as a short-term challenge, it in fact has far-reaching long-term consequences. The seemingly simple decision not to send a girl to school locks her out of most corporate professions and deprives the Nigerian economy of a potential contributor. Education is universally accepted as a fundamental human right, as Professors Amin Ngharen and Christiana Akogwu contend. Education expands awareness for the enhancement of all human rights and liberties. The Nigerian government can and should therefore do more to eradicate the poverty and illiteracy that hampers the education of both genders. However, Nigeria’s disheartening lack of gender parity is not only a result of poor human development. The Nigerian adherence to traditional gender roles also hinders gender parity. The problem is particularly present amongst the sixty-seven point one per cent of Nigerians who currently live below the poverty line. Poverty results in rural girls being withdrawn from school to generate income. From a young age, rural parents teach girls to aspire to marriage and not to an academic or corporate career. They encourage boys to pursue education while girls are taught to focus on their household skills in order to save and marry into more money for the family. My people, this is not good enough. We must do away with these outdated ideas if we want to see any change in our current condition. Online databases estimate that forty-nine point four per cent of the Nigerian population is female. The nation as a whole will see little progress if this large proportion of the population is locked out of education and professional opportunities. Nigeria must educate and develop its human resources for future use if we hope to see this country maximise its potential. We need to eliminate antiquated thinking and get more of our girls in school. May God Bless our beloved Country, Nigeria.